We are located at 238 Queen Street South in Bolton. We look forward to providing you with exceptional care and serving all of your vision care needs. 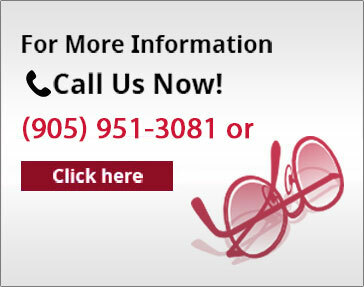 For any inquiries you may have about the products and services we offer or if you wish to make an appointment with our optometrists, do not hesitate to call us at (905) 951-3081 or send us a message using the contact form provided below. * We have moved to our new state of the art facility. Find a bigger and better Bolton Vision Centre at 238 Queen Street South.